This is a practical guide to the use of simulation in pediatric training and evaluation, including all subspecialty areas. 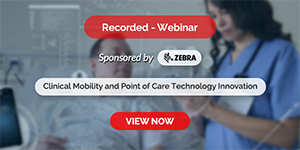 It covers scenario building, debriefing and feedback, and it discusses the use of simulation for different purposes: education, crisis resource management and interdisciplinary team training, competency assessment, patient safety and systems integration. Readers are introduced to the different simulation modalities and technologies and guided on the use of simulation with a variety of learners, including medical students, residents, practicing pediatricians, and health-related professionals. Separate chapters on each pediatric subspecialty provide practical advice and strategies to allow readers to integrate simulation into existing curriculum. Pediatric subspecialties covered include: General Pediatrics, Pediatric Emergency Medicine and Trauma, Neonatology, Pediatric Critical Care Medicine, Transport Medicine, Pediatric Anesthesia, and Pediatric Surgery amongst many others. 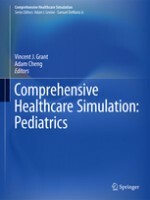 Comprehensive Healthcare Simulation PEDIATRICS Edition is a volume in the series, Comprehensive Healthcare Simulation. The series is designed to complement Levine et al., eds., The Comprehensive Textbook of Healthcare Simulation by providing short, focused volumes on the use of simulation in a single specialty or on a specific simulation topic, and emphasizing practical considerations and guidance.